The images create a single VM. 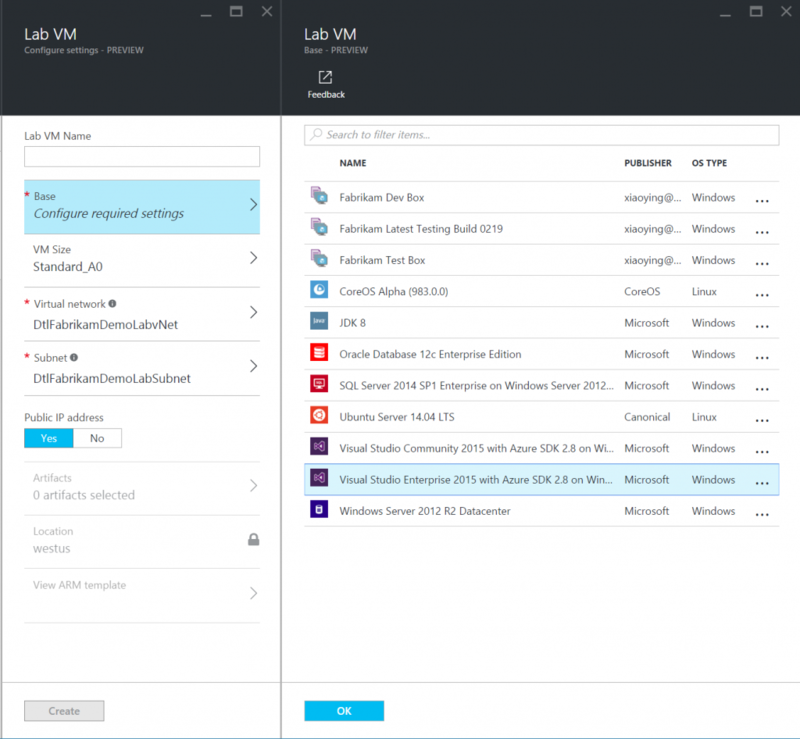 The images use Azure Resource Manager to provision VMs. The images don't require purchasing an extra licensing plan. You can update the lab settings to allow all qualified Azure Marketplace images in the lab or just some of them. When No is selected for Allow all Azure Marketplace images as VM bases, you can select the images that you want to allow in the lab, or you can select nothing so that none of the Azure Marketplace images can be used in the lab. 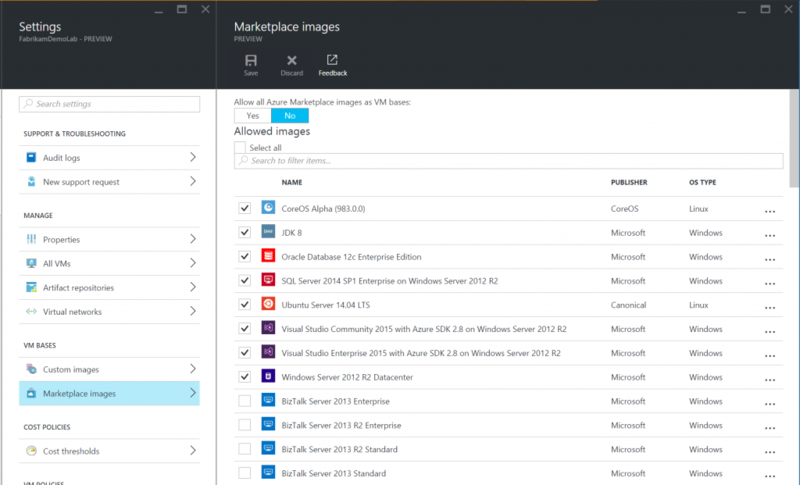 Allowed Azure Marketplace images appear in the same list of VM bases with custom images when you create a lab VM. Please try it today and let us know what you think about it! If you have an idea for how to make it work better for you, submit your feedback (or vote for others) at the Azure DevTest Labs feedback forum. Have a question? Check out answers or ask a new question at the MSDN Community forum.